Artificial Intelligence: How It's Transforming Into Cloud Computing? Cloud Computing Artificial Intelligence: How It's Transforming Into Cloud Computing? Artificial Intelligence is shifting to cloud computing. All the data on artificial intelligence stored in cloud computing storage. There is a sensor with artificial intelligence. The sensor collected data and sent it to a cloud server through Artificial Intelligence or AI. A preset instruction stored in the cloud network. When the situation match AI performs its predefined task. By this way, Artificial Intelligence and Cloud Computing work together. Artificial intelligence (AI) is machine intelligence. AI demonstrate through machine contrast to natural intelligence. Computer science defines AI differently. AI is any device or machine that perceives its environment and takes actions and maximize the chance of success. It applies when a machine or process mimics cognitive activities related to the human mind. The best example is learning and problem-solving. It is an area of computer science that focuses on intelligent machines that react like a human. The concept of Artificial intelligence comes from an academic discipline in 1956. AI discuss the problem of reasoning, learning, planning, knowledge representation, natural language processing, and perception. General intelligence was its long-term goal. The Artificial intelligence field draws upon mathematics, computer science, psychology, philosophy, linguistics, and many others. is multiple storages at a cloud. Actually, this storage is the redundant server. Cloud computing consists of several networks like the private, public and hybrid network. It has many types like software as a service, platform as a service and infrastructure as a service. Platform as a service offers the development platform for the developer. Infrastructure as a service offers to reduce the cost of the organization. Software as a service us uses pay as you go. Now the organization does not build big software in their in-house. They utilize the service of cloud computing. Many cloud service providers offer the facilities of cloud computing. 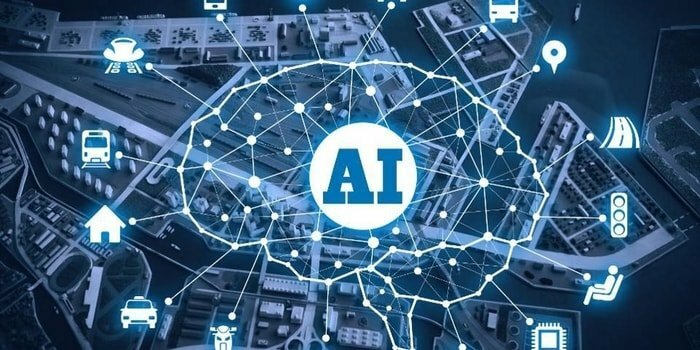 How Cloud Computing and Artificial Intelligence (AI) Connected? First of all, it needs the decision to go cloud and implement AI. They the organization will search for better cloud and AI solution provider. The probable sector for Cloud AI is healthcare, meteorology, and industrial automation and security systems. Implementing Cloud AI is not so easy. The API needs complex integration with an enterprise-ready solution. Now maximum companies converted into cloud ecosystem so the process becomes easy to experienced personnel. The sensor of AI collects all the data of the environment. Some of them are garbage. After garbage processing data is transferred to the cloud. As a result, the cloud has to takes a lot of data. Then some algorithm is embedded between the cloud server and AI device. If both matches then cloud sends the signal to the AI device. By this way, cloud computing service and artificial intelligence are interconnected. Cloud computing is the base of AI. So every company may use the public cloud as an implementation partner of artificial intelligence. Hyper-scale cloud providers can support for stepping up the cloud AI service. For example, AWS released a conversational engine, Amazon Lex. Various Amazon software is interrelated with it. Amazon Polly generates voice like output, Amazon Recognition builds computer vision solution. Vision, language or machine learning services is the vital factor of Cloud AI. Cloud computing and artificial intelligence industries are mutually exclusive. By 2025, the world AI market is likely to be worth almost $60 billion. At the end of 2017, AI standing at around $2.5 billion. It is one of the fastest-growing markets in today’s world. On the other hand, the public cloud industry already captured the market worth over $ 1250 billion within 2025. So cloud industry and artificial intelligence both have the prospect in the near future. AIBrain AI: AIBrain is a Californian company. They build AI solutions for smartphone and robotic application. AIBrain offers three products such as AICoRE, the AI agent, iRSP. Amazon AI: Amazon offers consumer and business-related services. It has a wonderful intelligence voice server, Alexa. Amazon has three products Lex, Polly and Recognition. Anki AI: Anki is doing well in the AI field. The Anki has made life easy. The success of Anki is consumer robotics. Cozmo is one of the sophisticated consumer robotics of them. Apple AI: Apple made four AI in the last two years. They now demonstrate the big step of AI. The facial recognition security system (Face ID) is its popular service. Recently they appointed ex-google AI chief to expand their arena. Banjo AI: They make artificial intelligence using social media. The profit of Banjo is over $100 million last year. They started their journey in 2013. The main features of this AI are the better decision, faster and interact with people. Cloud Minds AI: Cloud Minds is the end to end cloud intelligence (CI) system. This is Human Augmented Robotics Intelligence (HARI) dais for robots. Cloud intelligence have some differences with artificial intelligence. CI have less interaction with people than AI. Mobile Intranet Cloud Services (MCS) is another platform for cloud intelligence. Artificial intelligence is nothing but a computer. It is the version of the fifth generation computer. Almost all the task can do the AI. Where human is required there AI can perform as well. The computer has only analytical power but AI can do both thinking and analytical task. Finally, it sends the instruction to the machine. By this way the job of AI done. Artificial Intelligence is a totally new technology in the modern world. This AI reduced the task of the human. Now the much-automated decision is made by this AI. But the face is, till is costly. Very few sectors use this AI. It has no doubt in the near future this AI can dominate many sectors of production. Some military organization uses artificial intelligence as a security measure. Moreover, we can rely on Artificial Intelligence.